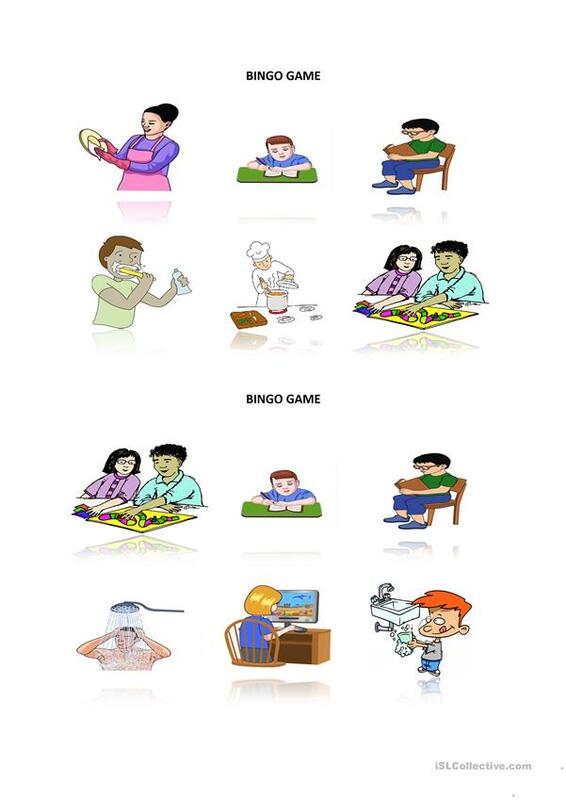 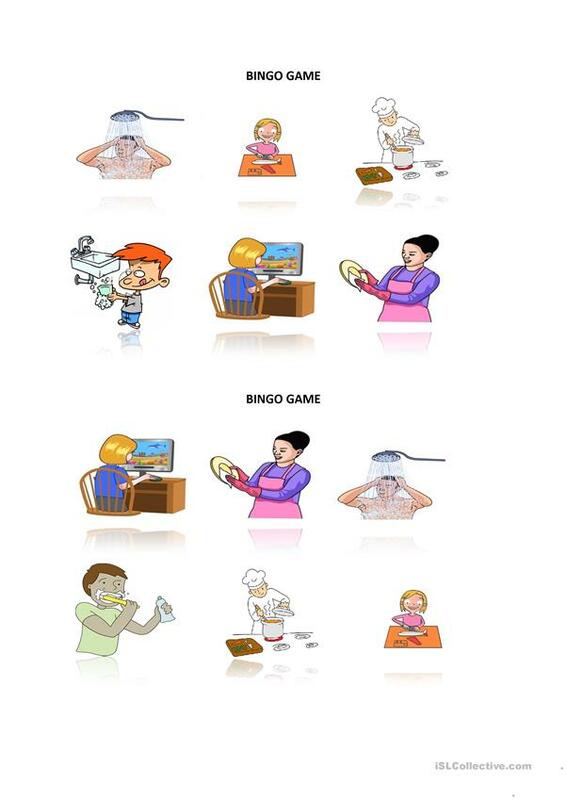 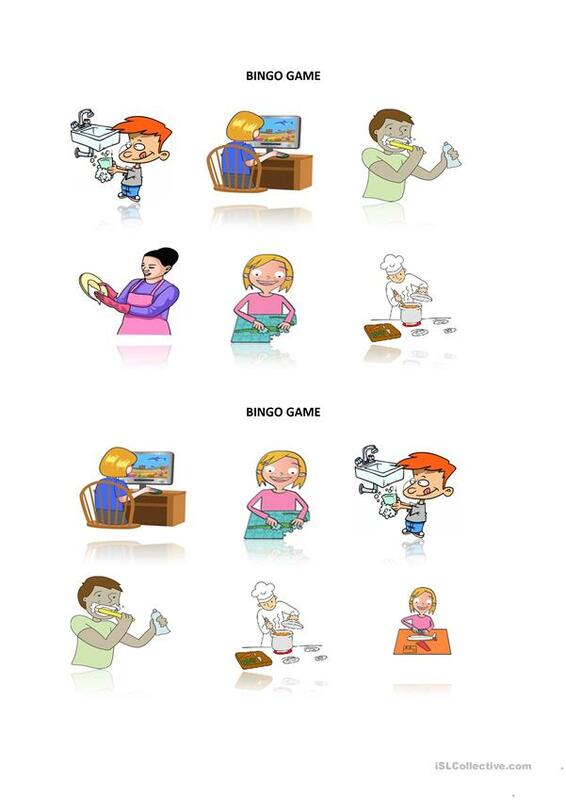 It is a bingo game that you can hand out your students by cutting the paper in the middle. Each of the students will have different pictures. 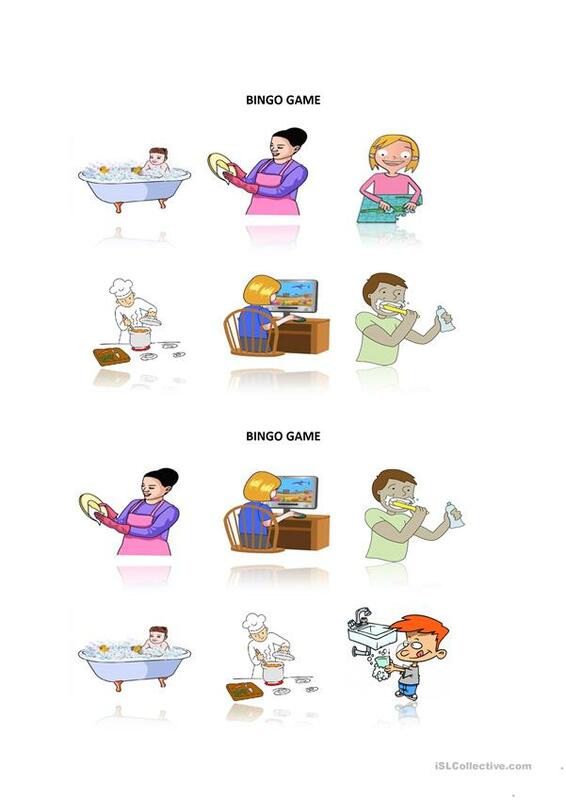 You will read sentences which are telling the actions on the pictures and they will put a tick if they have that picture. When one of the students puts tick all of the pictures he/she has, he/she will say bingo and be the winner. This printable, downloadable handout is meant for elementary school students at Elementary (A1) and Pre-intermediate (A2) level. 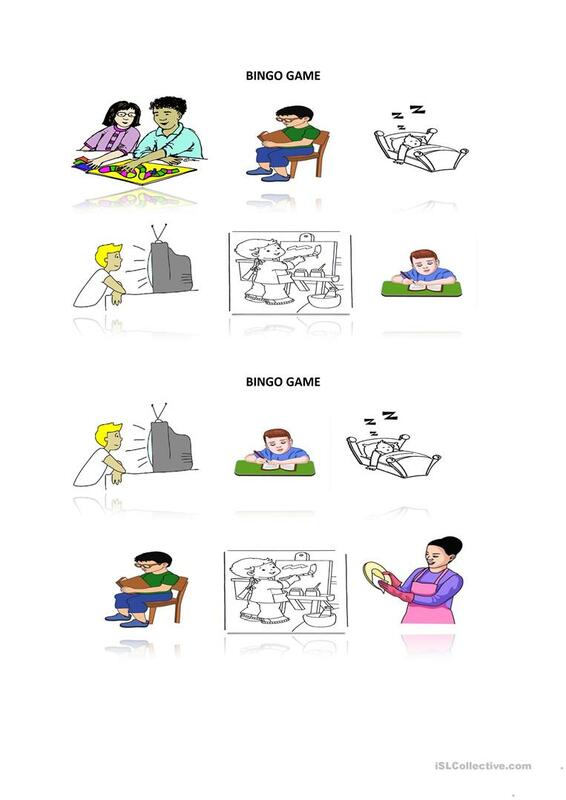 It is aimed at teaching Present continuous (progressive) tense in English, and can be used for strengthening your class' Listening skills.